With the final post for Nativology Vol. 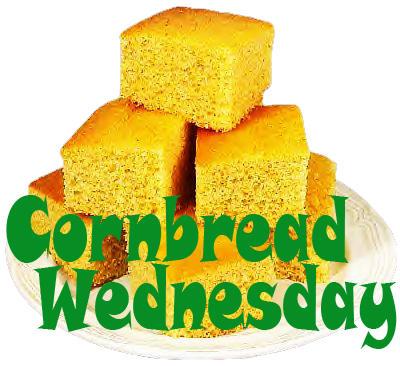 3 last week, it seems like a perfect time to do something a little different for this Cornbread Wednesday. But, before we do, let’s point out that we now have three volumes jam-band-packed with rare goodies from the Native vault that chart the progress of… us! So, take some time to go back and check out all three volumes. They are there for you — free! Today we offer a great bit of video taken by band friend Oren Ritterband. This is the unedited footage, and it’s a little over a half-hour long. But, this is prime Native!! We have a live tape of the show, but it would take an amazing video expert to edit it all together, so the sound is from the camera itself. Guest cellist, Dave Barnhart was someone we really wanted to join the band, so it’s fun to imagine what we might have sounded like if he had not gone off in that dead-end classical direction. But, whatevers, we soon added keyboardist-extraordinaire John Epstein, and history was written in lightning! The really great thing for us, is to see Mike Jaimes playing some absolutely smoking licks on his Mary Ford Les Paul – many thought it was a Gibson SG, but we say thee nay! It was a Mary Ford, with it’s white paint stripped off, and about a thousand toggle switches installed – none of which worked! It’s neck was so warped, no one but Mike could play it. Therefore – not only is Mike playing these dazzling parts, but he’s bending the strings into pitch! Shortly, thereafter, we would lose it somewhere in the wilds of New Jersey, and Mike would acquire his trademark Paul Reed Smith, which would serve him so well foreverafter. It was a sad day, indeed, when John Watts took the decision to leave Native. He loved the band, but the schedule was punishing. And, it has to be said that, at this time, there was a bit of friction in band – some of which is my fault, so I bear a piece of the blame for driving him out. When I met John, I was chuffed and delighted to bring him in for an audition with the band, and when he joined the band kicked up another notch in tightness, and our sound became even more musical and rich. He was our most joyous, upbeat member, and that’s saying something considering we had the sparkling Mike Jaimes in the band. One example of how he helped me, was when he championed my newest song, Sweet Intensity, over the disinterest it had received when I played it for the guys. I really don’t think it would have become a Native song without his support. I’ll readily confess – my general displeasure over how my material was being judged led to a bit of a bad attitude on my part in the later days of 1996, but there was another music-related factor that led to some inner-band conflict which disturbed John a lot. I had started to feel a pain in my hands, stemming from my vice-like grip on the drumsticks. My punk-rock drumming approach had been getting more streamlined and sophisticated, but I retained the too-tight grip that, after long gigs, was leading to an aching soreness in my thumb joints. John suggested I see a drum teacher he knew, and I very quietly started to take instruction which gave me all kinds of insight into how my grip was defeating my intent – why my drum fills were heavy-handed and sloppy, and how it contributed to an overall laxness in my playing, despite my high energy-level. I was working twice as hard for half the effect! Finding a better grip not only transformed my style, but the lack of pain was an enormous relief. The problem was, I didn’t tell anyone else in the group about my lessons, and rather than increase my ability, the immediate result of my new grip was a drop in precision. It was going to take some time to get used to it, and in the meantime, I was playing very sloppily. Then came a big band meeting, where I was confronted about my playing. Having already made moves to up my technique, I was angered by the interference. I sort of reflexively reacted to being provoked in a very confrontational band meeting, and was appalled that my playing had obviously been the subject of discussion behind my back. The tensions in all this ultimately pushed the always convivial John Watts away from the band, and his era came to a sad close. The following months were what Chris Wyckoff has dubbed, ‘The Scary Time’, where Native soldiered on as a 5-piece. Fortunately, the first six months of 1997 saw very little taping at our shows, so there is scant evidence of my progress with the new grip. The good part of the story is that I got my drumming problems sorted, and Native went on to continue our schedule of a hundred or more gigs per year, constant song-writing (which I was able to be a larger part of, thanks to the success of Sweet Intensity), and the recording of our best album – Exhale On Spring Street. During the recording of that epic, the reserved and tranquil Mr. Wyckoff joined our ranks, and all was well in the little town of Inisfree, once again. So, the ending was happy, but when it comes to the subject of John Watts’ departure – I can’t think of anything funny to say about it. I wish he had stayed, and lord knows how we might have evolved if he had. Bottom line — today’s tune brings Nativology Vol. 3 full circle. It began the era with a brilliant demo tape, and ended the era with a masterful performance at our home base – McGoverns Bar. We were much better than we were giving ourselves credit for. Special note: This week we got the sad news that our good friend, and Mat Hutt’s first wife, Rebecca Lyons, passed away after a courageous battle with breast cancer. Needless to say, we are devastated by the loss of such a dear, beautiful comrade. Rebecca was there for so many of our exploits, it seems inconceivable she’s not here still. Her heart was huge, her laugh contagious, and her spirit was infused with love. So, with a misty eye, we dedicate this week’s post to her, and carry on as she would want us to. R.I.P. The onset of winter, in November of 1996, brought with it a sense that the year had seen a lot of growth in the band. We had matured in our playing, and our songwriting, perhaps influenced by the sophisticated jazz leanings of our keyboardist, John Watts, was going to some very swanky places. We were in a very much better state of confidence as well. Just a year earlier we were struggling to bounce back from the lack of success from our first album, and we were still adapting to the loss of John Epstein on keys. Now, as we looked forward to 1997, with a self-produced live album under our belts (Live From Marmfington Farm, Vol. 1), that was selling faster than we could believe, and an increasingly steady growth in our fanbase, there was a feeling we could do it all ourselves. This was the dawn of the DIY age, for us. With even our management fighting amongst themselves, the band drew together – we relished rehearsing, and writing, and had learned enough about manufacturing a product so that it was all we wanted to do. To heck with producers, and trying to impress record company moguls who just didn’t get what we were about – we would undertake the production of our next studio album ourselves – or, rather, I should say I would take on the responsibility of organizing, funding, finding the studio, oversee the sessions, coordinate schedules, keep track of all the overdub sessions, invite the guest players, and all the leg work that entailed. I didn’t realize it then, but I had become a Record Producer. So, here we were, at the height of our powers, ready to undertake an album that would be a year in the making. Thank goodness, we had such a wealth of good material at hand. With the debuts of today’s featured tunes, all the songs from the next album had been introduced, and were up and running well, thank you very much –with one big exception. But, that exception is a story for another day. Right now, kick back on the alligator-skin sofa, sip a Black Velvet, or some other exotically-named libation, and check out the sounds of what were our latest songs in that fabled November, 1996. That’s the way to describe this week’s offerings from our vaults, O good peoples of humankind. As we wend our way woozily to the end of the trail, tapewise, for the John Watts era, let us remind ourselves with humility – in 1996, Native was one of the best bands in the world. There, we said it, because somebody had to. Our lead vocal humanoid – Mat Hutt, herein delivers a three-song summation of everything that made him a great fronthuman. Equally comfortable with raunchy rock & funk, or a sweet ballad – Mat rocks it! Our harmonies, sometimes four-part, were never richer. Woody, John, and Mike had developed a wonderful blend, with Woody getting special mention for his rack & pinion parallel matching of Mat’s lead vocal. Our guitarist, Michael Jaimes, was always splendiferous in the breadth and scope of his solos, but here he displays a stunning array of improvisational skips and runs – and, O that rotovibe pedal gets a workout here! There’s no such thing as too much rotovibe pedal! Our keyboardist, John Watts, was absolutely at the top of his game in the waning months of ’96, and here he goes head to head with Mike in the great soloing department. Our rhythm section was never tighter. Matt Lyons, John ‘Woody the Toastman’ Wood, and Dave Thomas had developed into a multi-armed behemoth, with special mention going to Matt for his blockbusting bass workout found herein. Our sound was never more balanced. John Fitzwater, at this point, was helming the board with Captain Phillips-like steely determinedness. Our Manager, Paul Ducharme, was never more stoned & loquatious! These tunes hail from the wee hours of the morning, and it’s hard to imagine anything better happening at that moment, anywhere in the world. Hey, somebody has to say it!